From a total renovation to a small repair project, a drawing kit is a valuable tool for a timely completion. This drawing kit has everything you need to get started, drawing board with paper clamp, triangles, ruler, protractor and custom template. The entire set is portable for on the spot sketches indoors and out! Board size: approximately 13" x 18-5/8". Planning any project is much easier with a preliminary drawing. 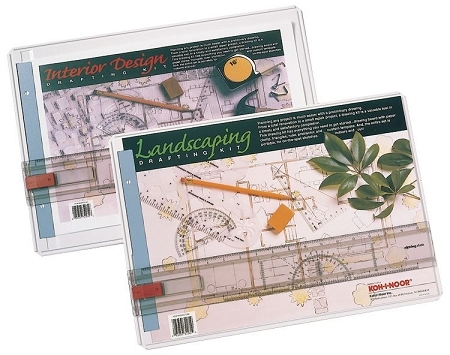 This drawing kit has everything you need to get started, drawing board with paper clamp, triangles, ruler, protractor and custom template. The entire set is portable for on the spot sketches indoors and out! Board size: approximately 13" x 18-5/8".